Zombie Dust is one of those beers that every beer lover immediately lusts after when they first get into craft brews, so when I started brewing I knew it was something I would need to make for myself, especially due to its rarity and prestige as one of the best pale ales in the world. Three years later, and a spur of the moment decision, I finally took the plunge in order to try the much lauded Zombie Dust for myself. I know the popular clone recipe calls for 1968/S-04, but I really love 1217 and pretty much use it for everything, however, this is where my version deviates from the original and stops being a true clone. 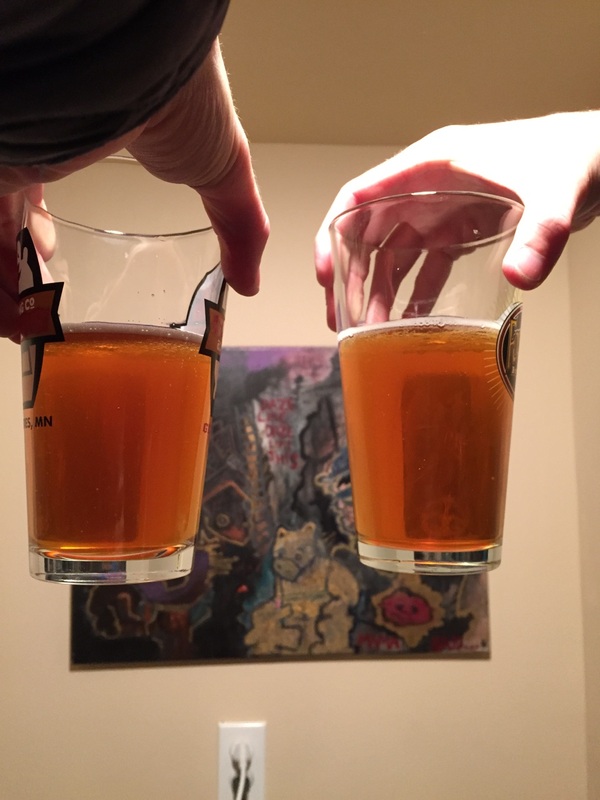 After telling my friend that I was brewing a clone he somehow managed to acquire a bottle of the real thing and gave it to me for comparison’s sake. 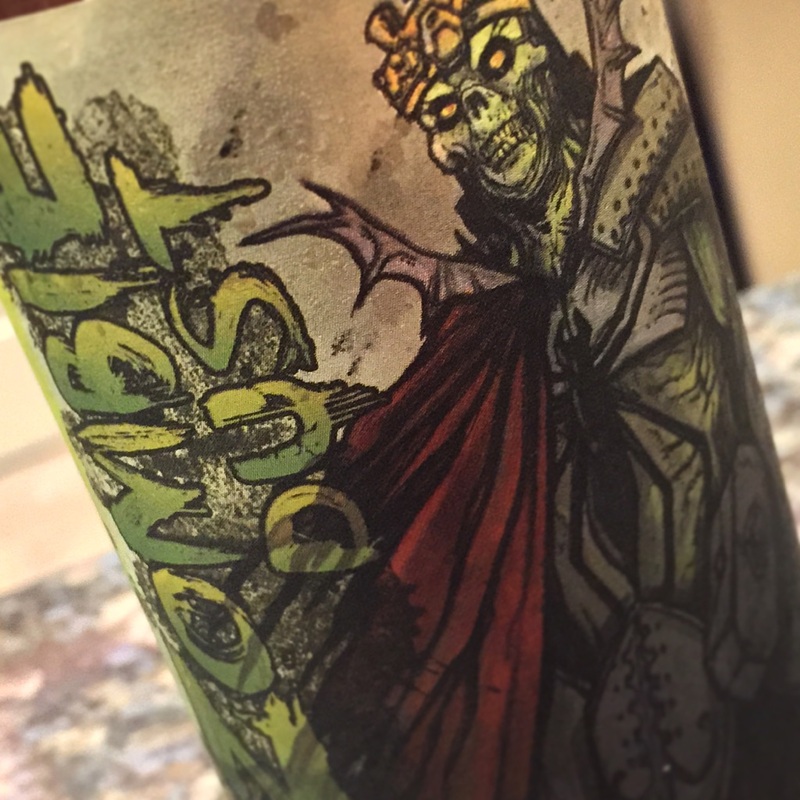 The bottling date on Zombie Dust was 9/27/14 and mine was brewed a day later. I kegged it a week after brewing. Since both are quite close in age, all comparisons in terms of freshness should be similar. Right off the bat the two are dead on in appearance with the same copper color and dense head although Zombie Dust is a tad hazier. The real thing has a fairly rich malt smell similar to sticking your nose in a bag of DME, and a distinct English yeast character to it which I attribute to 1968, the yeast supposedly used in this beer. There’s not as much of a hop presence as I would have expected from one of the best pale ales in the world. The clone has more of a citrus, and tropical nose from the Citra hops with notes of lemon zest and peach. It smelled amazing while I was racking to a keg, but some of the aroma has dropped off during the past couple weeks. First sip and Zombie Dust is smoooooth. Not much bitterness at all, just a nice hoppy character. There’s a kind of bready/crackery thing going on which is pleasant but not at all what I was expecting initially. The clone is definitely more bitter and not as smooth, which I partially attribute to it being slightly more carbonated. However my clone is drier and thinner bodied as well. In a way it drinks more like an IPA with more of an upfront citrus/peach hoppiness. While Zombie Dust leans towards malt, the clone leans all the way into the hops. 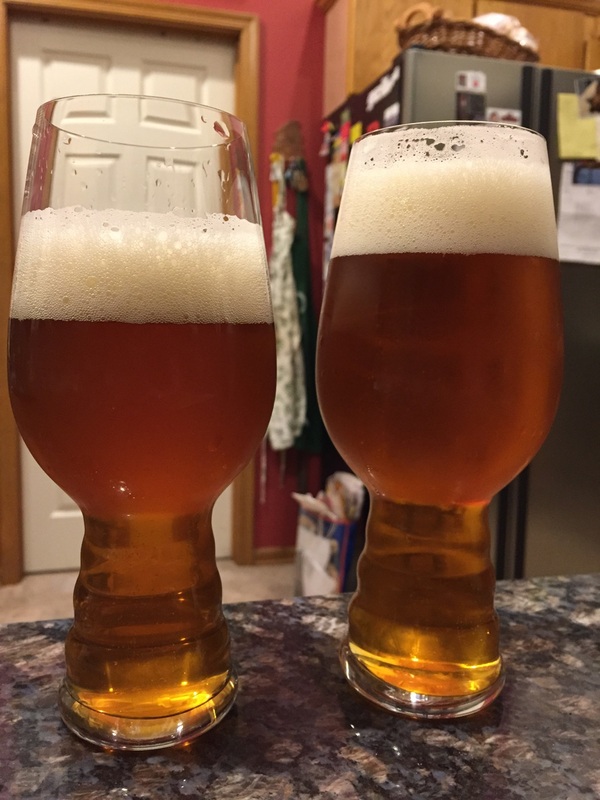 Rather than saying I made an accurate clone of Zombie Dust, I prefer to think of it as my imagining of the real thing, or even what I wanted the real thing to ultimately be. I think yeast choice played a huge role in how the clone turned out. The clone has no English character to it, which actually leads me to prefer it more over the real deal. I have a feeling 1968 lets more malt character come out and leaves some residual sweetness in the final product that 1217 fails to do. I were to brew this again, I would try to up the amount of Vienna to give it more of the malty character that it lacked. Both are great beers and in the end it comes down to preference whether or not you like more of a session IPA or a more smooth English-y pale ale with APA characteristics. I would happily have multiple pints of each, but if I had to pick one I’d go with the ‘clone’. If it’s any consolation, I still finished the glass of the real thing first.